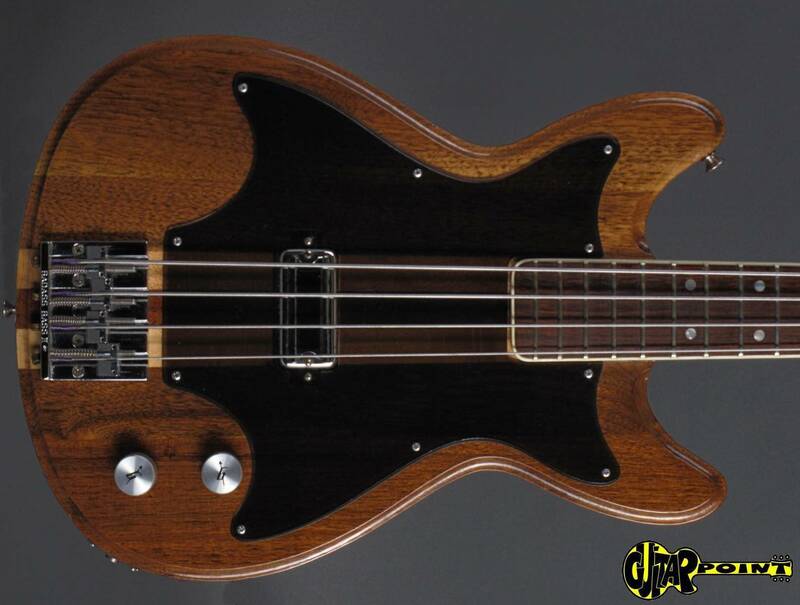 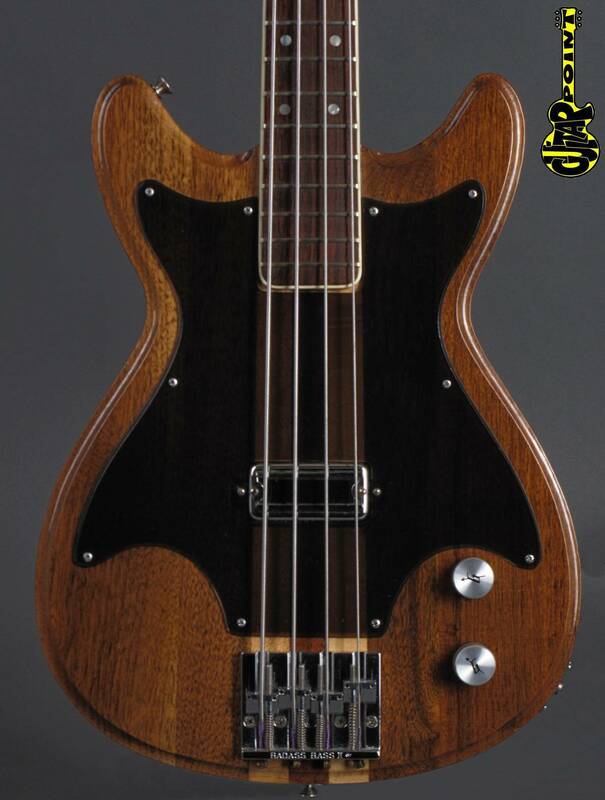 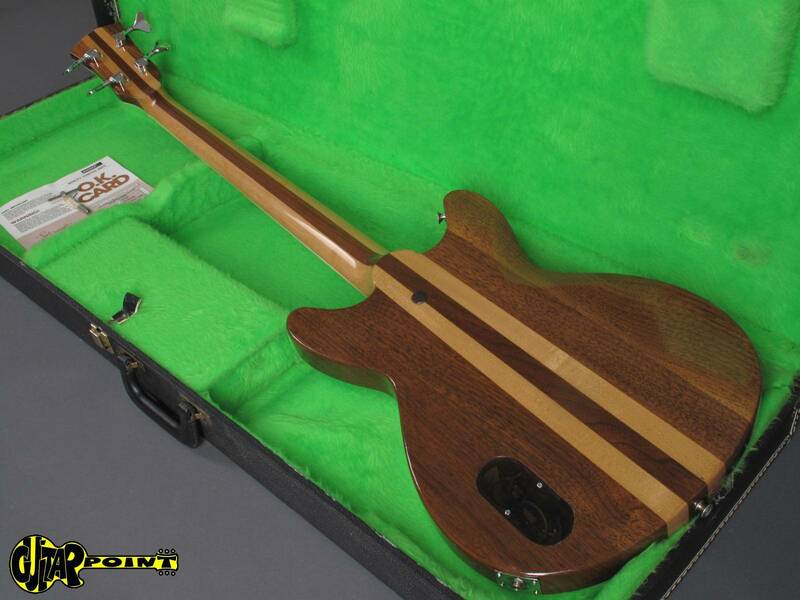 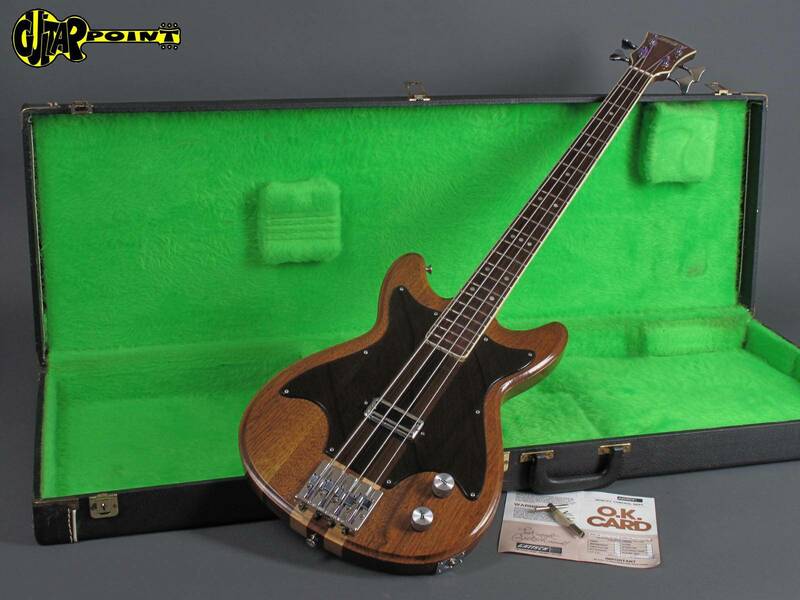 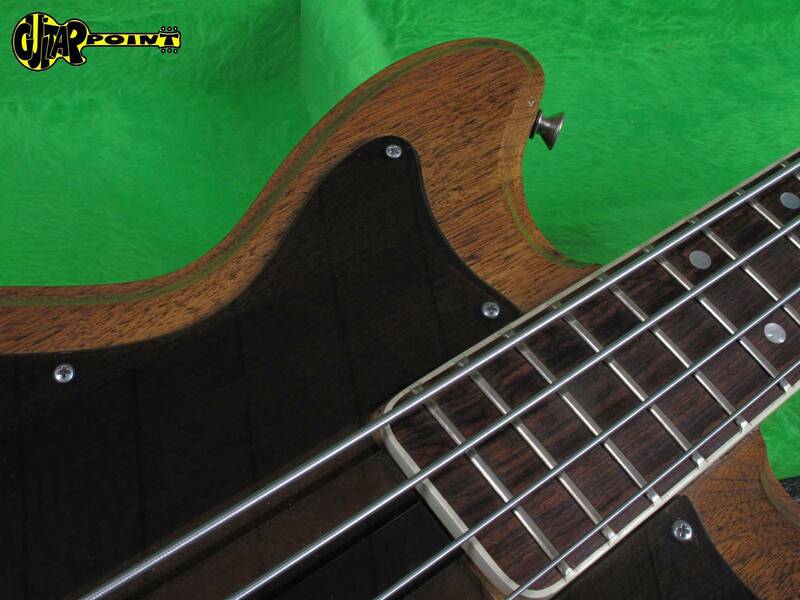 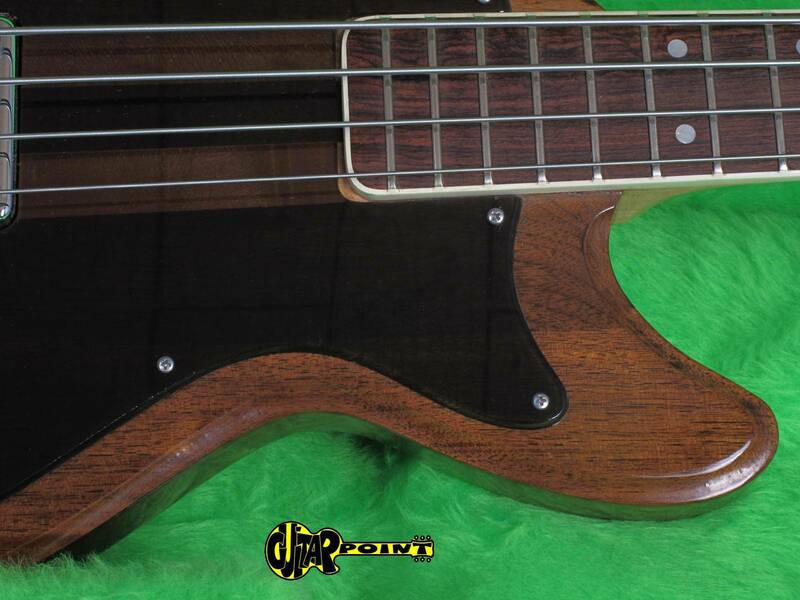 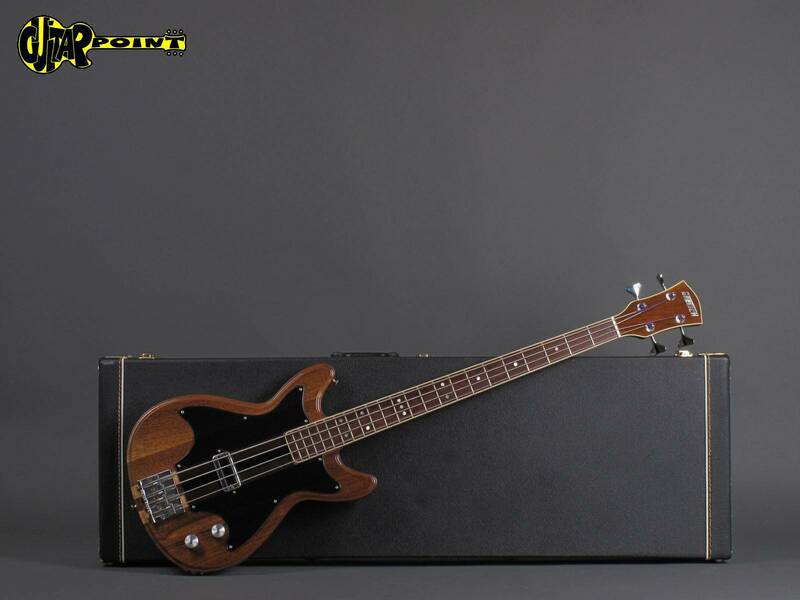 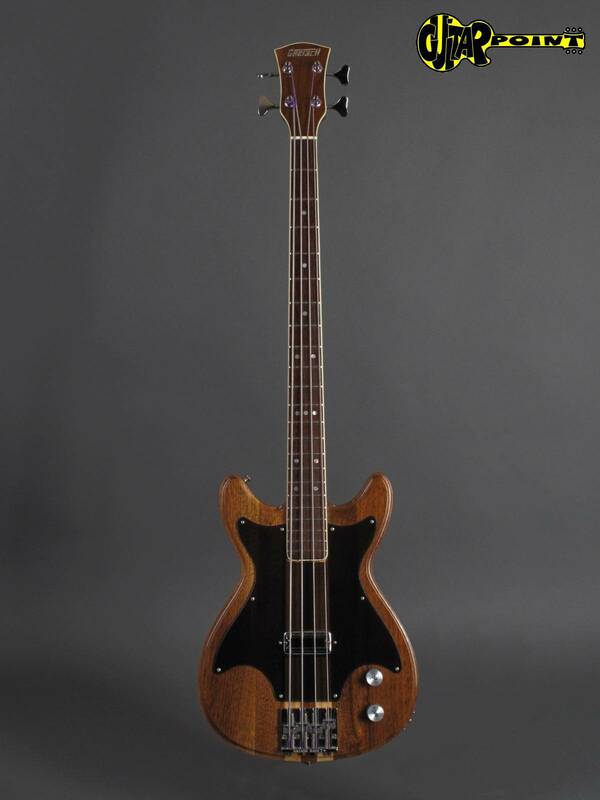 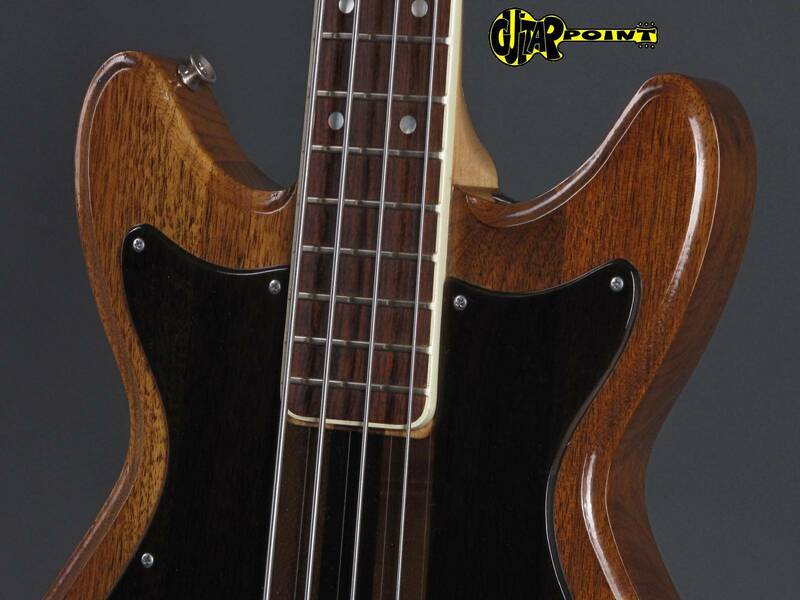 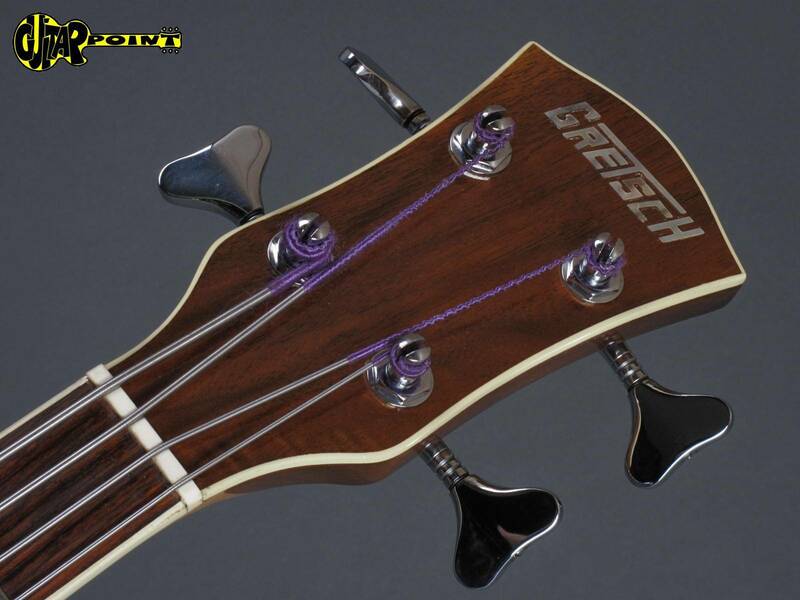 Rare Gretsch electric bass in superclean, excellent and all original condition. 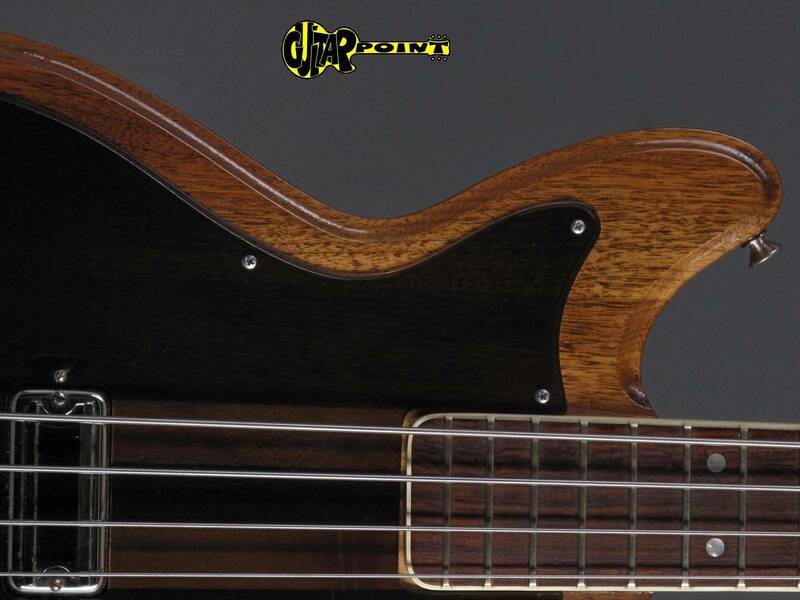 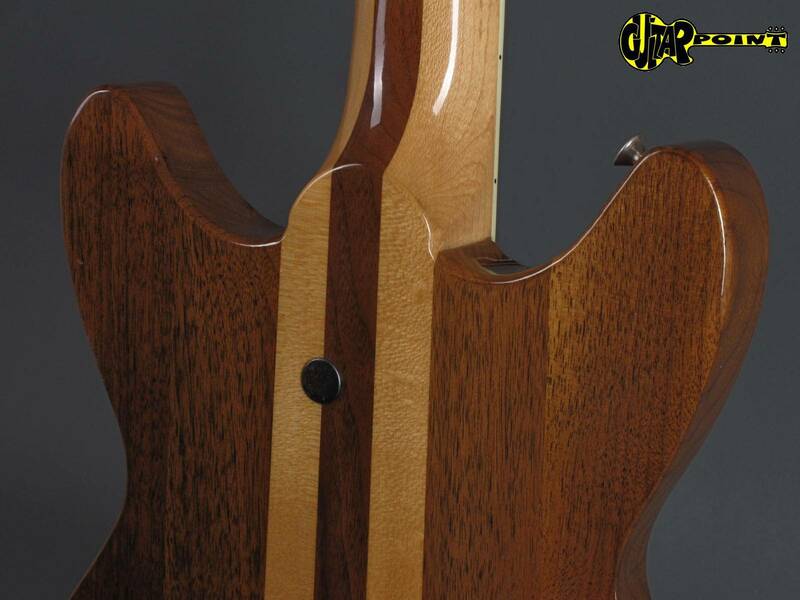 Neck-thru construction, solid walnut-body with lamintaed 3-piece walnut/maple neck, and bound rosewood fretboard with 21 frets. 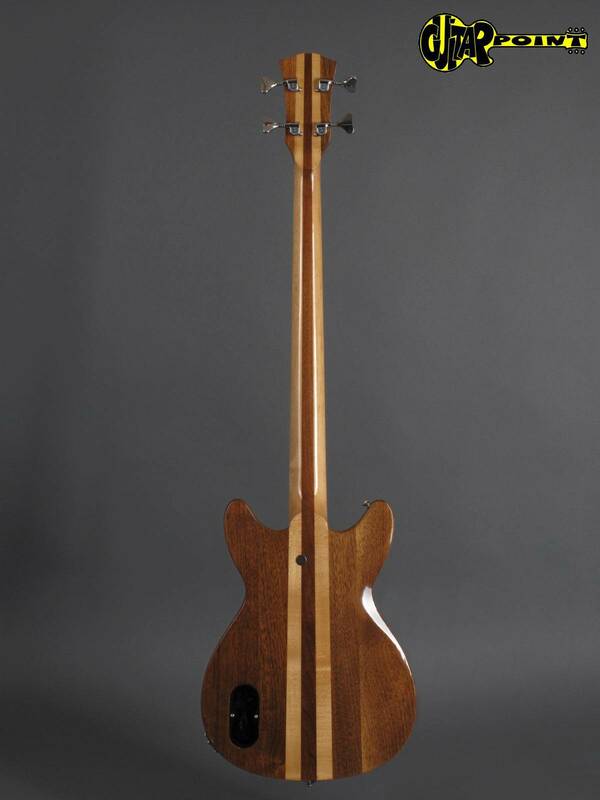 34" long-scale. 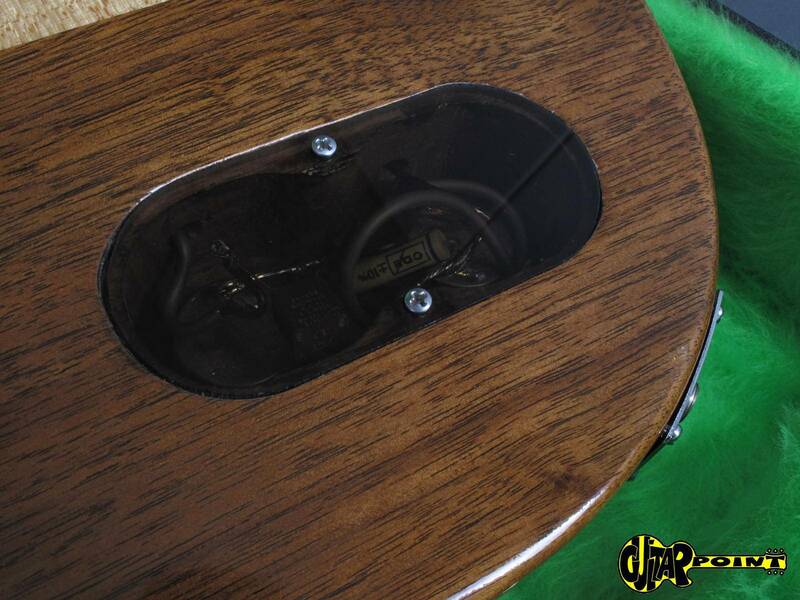 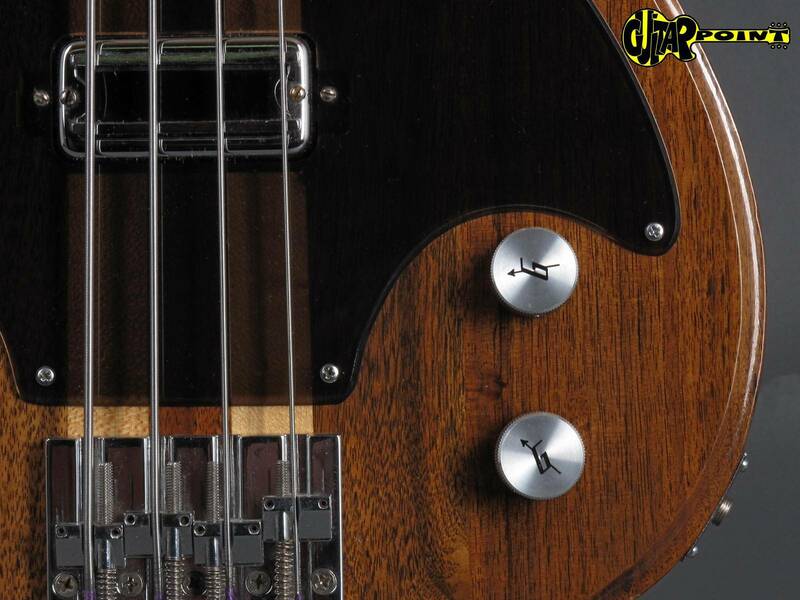 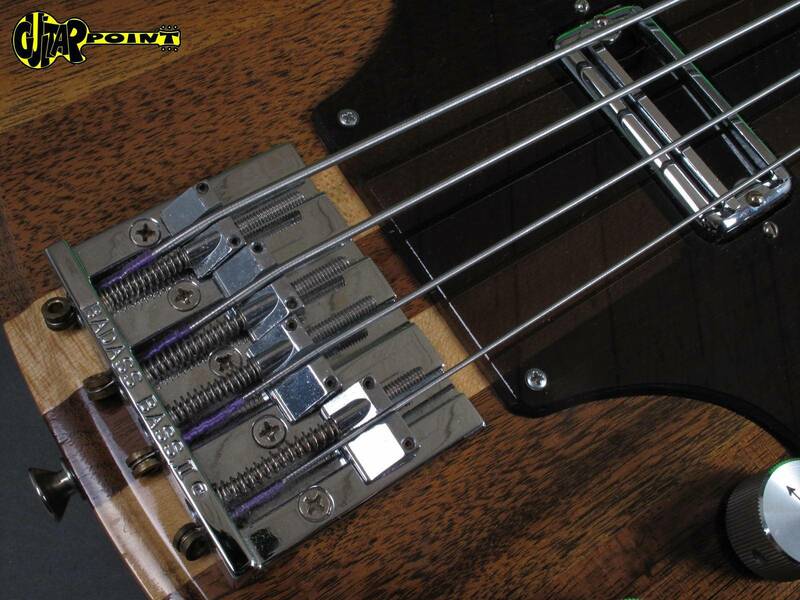 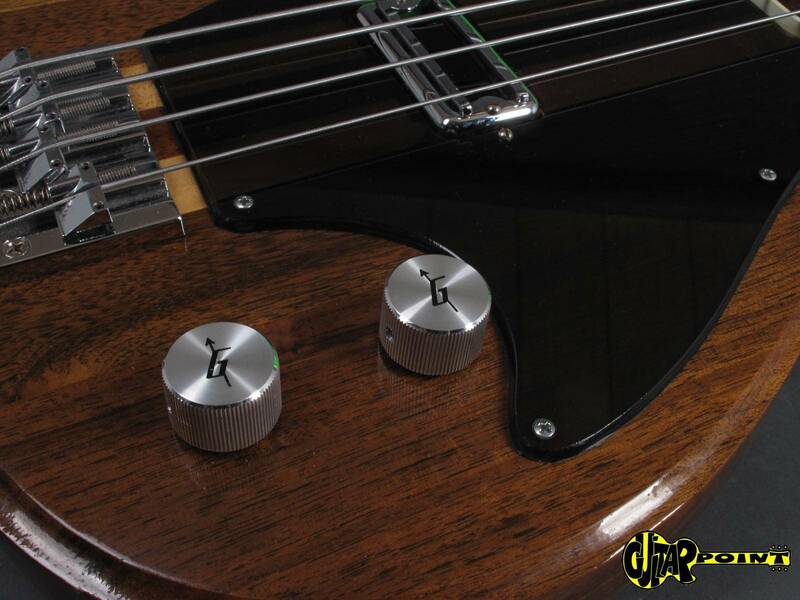 1x bass response pickup with 1x Volumen and 1x Tonecontrol. 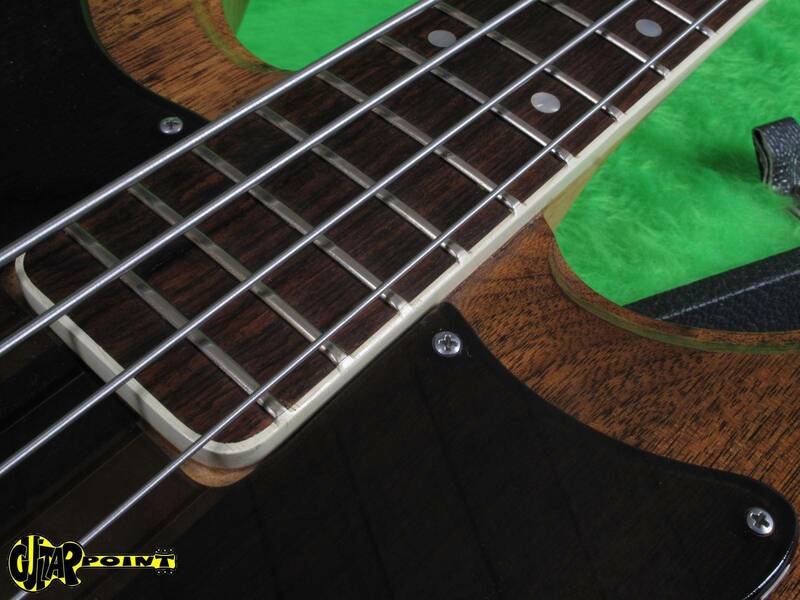 Well balanced, lightweight and comfortable to play. 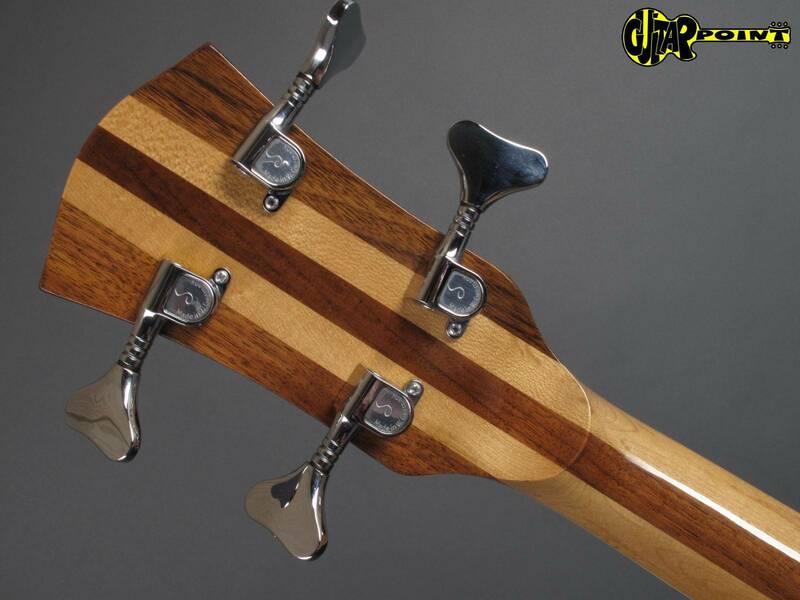 The original frets are still like new and will last another lifetime! 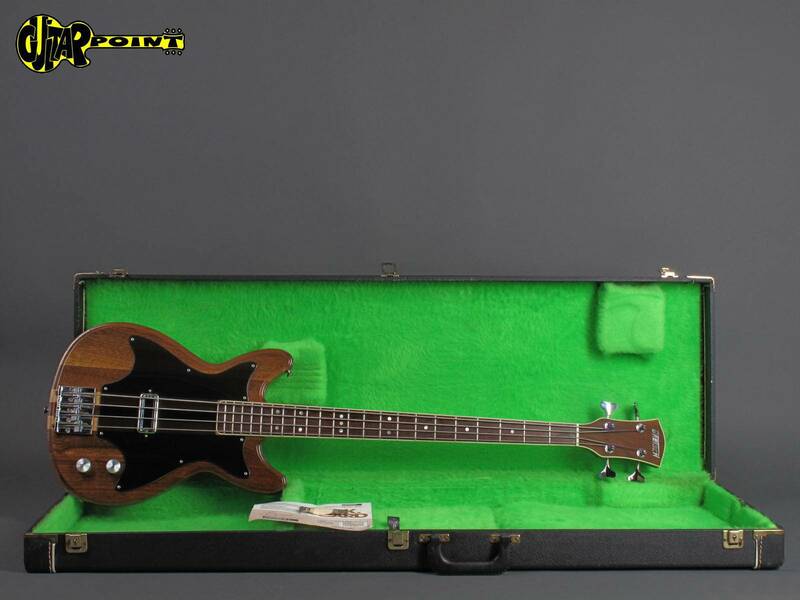 Comes in its original black hardshell case w/Gretsch logo. 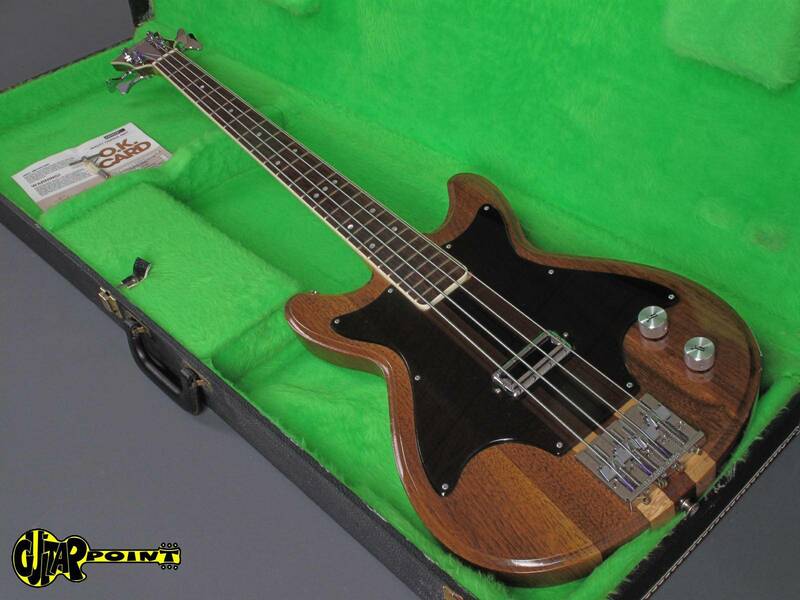 Incl original black hardshell case w/Gretsch logo.